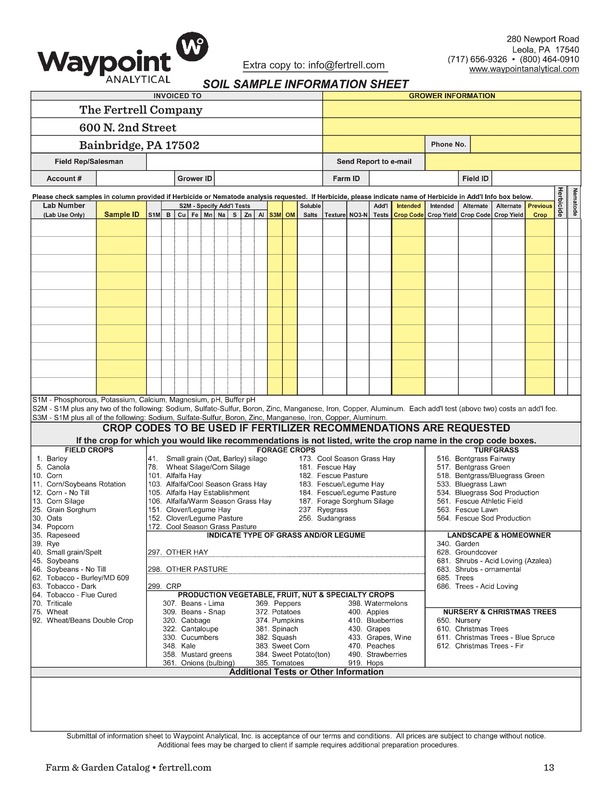 Download our recommended soil test submission form from Waypoint Analytical in Leola, PA. The fields you need to fill out are highlighted. Submit your samples directly to Waypoint Analytical. DO NOT SEND PAYMENT WITH SAMPLES. We will invoice you after we receive the results. If you prefer to use another lab for your soil samples and would like to submit those results for recommendations, please submit them here.